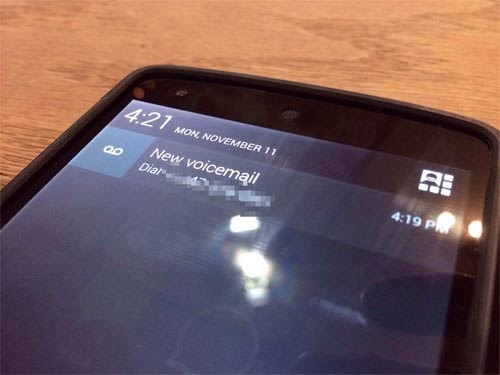 This post will guide you on how to call voicemail, set your voicemail number and change the default voicemail notification sound on your Google Nexus 5. Included in this post are the default notification audio that are available on stock Nexus 5. 1. From any Home screen, tap the Phone icon. 2. Touch and hold the 1 key. 2. Tap the Menu icon at bottom right of screen. 5. Scroll to 'OTHER CALL SETTINGS,' then tap Voicemail. 8. Enter the desired voicemail number. 8. Tap OK to confirm. 9. If desired tap to select the Vibrate check box. In case you have a problem with your phone and you don't know the solution, tell us about it and we will find the answer for you and it's for free. Email us at sebertech@gmail.com.